We all have times when we may struggle with anxiety or depression, have low self-esteem, are being bullied, have a lack of confidence, or are suffering with stress. We go through different forms of trauma, live with different types of abuse, and suffer bereavement and loss at all ages. We can often feel like we have no support or that people may think we’re being silly for feeling the way we do. That’s when counselling can help! By talking to me (Joy) we can explore what’s happening for you; your emotions, your feelings, your choices and your decisions, and together find simple, effective ways for you to move forward. 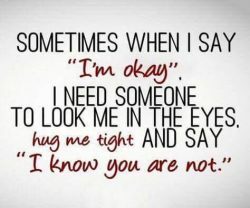 I know it can feel scary and nerve wracking talking to a complete stranger about what’s bothering you, but don’t worry, you’re in safe hands and together we can explore what’s happening for you at a pace to suit you. The website provides further details on the what person-centred counselling is, who I am and the counselling room, plus details on how to contact me. There are also some inspirational quotes and articles for you to read. If you would like further information or to book an appointment then please go to the ‘Contact’ page & complete the form, or email joymsheehan@me.com directly or call/text 07704 297999.